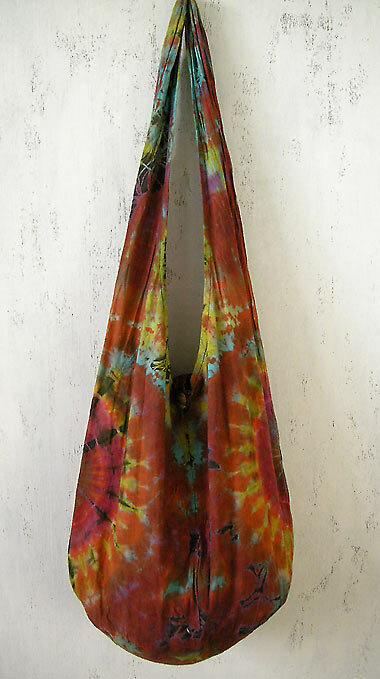 Bohemian hippie sling bag, 70s retro design. Absolutely hot! 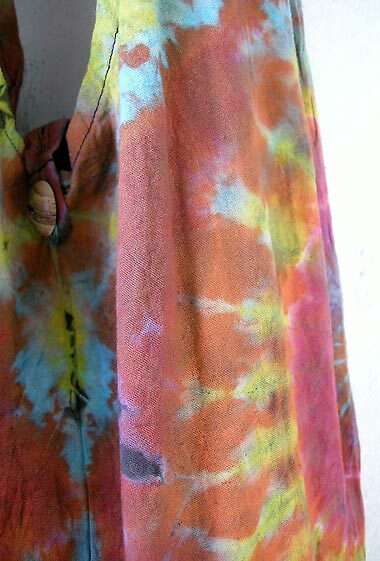 It is tie-dyed by hand and therefore unique. There is a wooden button on top of the bag. Body of the bag: 19.5 * 19 in (49.53 * 48.26 cm). Length of the sling 20 in (50.8 cm). Color: orange, pink, turquoise, yellow.